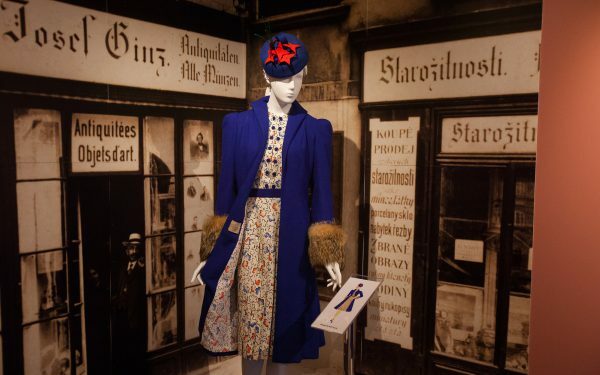 On view at the Museum of Jewish Heritage through August 14, 2016, “Stitching History From the Holocaust” was created by and is on loan from the Jewish Museum Milwaukee. The Claims Conference helped fund the exhibit. In 1939, Paul Strnad wrote a letter to his cousin Alvin in Milwaukee seeking help in the form of an affidavit for him and his wife Hedy — a dressmaker who owned a fashionable Prague shop — to escape Nazi-occupied Czechoslovakia. Paul included his wife’s dress designs to show their financial independence. 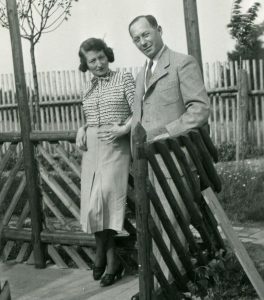 Despite Alvin’s efforts, Hedy and Paul could not leave and were murdered in the Holocaust; yet their story and legacy have been meticulously pieced together using a letter and a packet of dress designs stored in a Milwaukee basement for 60 years. The detective work of piecing together the story of Hedy and Paul Strnad runs parallel to the contemporary creation of Hedy’s pre-war dress designs, giving “Stitching History From the Holocaust” its double meaning. It all started with a donation of documents made by Burton Strnad’s family to the Jewish Museum Milwaukee. 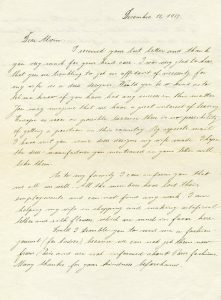 A letter written to Burton’s father, Alvin, in 1939, along with a packet of eight dress designs found in the family’s basement formed the basis of a research project at the museum which, over time, developed into a traveling exhibit. Czechoslovakian postage on the letter established the present day Czech Republic as the city of origin for the museum researchers. Paul Strnad’s letter to his cousin Alvin in Milwaukee does not mention Hedy by name. The Museum turned to the Yad Vashem database for help. Although there were several “Paul Strnad” entries, Hedvika (Hedwig), a “lady taylor” (sic) was noted in a form filled out by Brigitte Rohaczek, Hedy’s niece. Further research revealed that Brigitte survived on a Kindertransport, the rescue effort that saved thousands of Jewish children by bringing them to Great Britain. Various unsuccessful attempts were made by The Museum to locate Brigitte. A summer intern at the museum was studying abroad in Germany and offered to try to locate Brigitte. There was little hope that he would find any new information; however, armed with the ability to speak German, the intern located Brigitte and within days travelled to meet and interview her. Brigitte filled in the missing information about her Aunt Hedy and Uncle Paul. As was the case with many Holocaust victims, the Jewish Museum Milwaukee had to piece together information about the Strnads bit by bit, in a process similar to stitching a dress. Even when there were surviving family members, often little was known about those killed in the Holocaust, especially when the surviving branch of the family had emigrated from Europe years before the war. 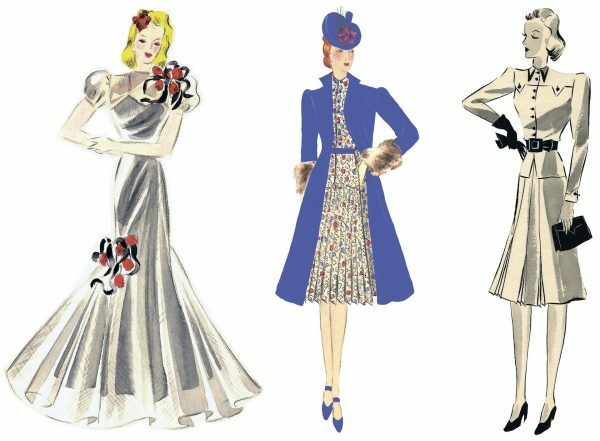 This digital exhibit is organized around five interpretive stages of sewing, drawing a parallel between the making of Hedy’s dresses and stitching together her life story. “Stitching History” was one of only three exhibits in 2015 to receive the HIP (History in Progress) Award from the American Association for State and Local History.